Why would I need self storage in Richmond, TX? There are a variety of reasons why you might need self-storage in Richmond, TX. How much is a storage unit in Richmond, TX? The cheapest storage unit in Richmond, TX is $10.00 per month. What size storage units do you have available in Richmond, TX? In Richmond, TX we have sizes that range from 5'x4' to 20'x30' to suit your storage needs. How much is it for a 5'x4' storage unit in Richmond, TX? The cheapest 5'x4' storage unit in Richmond, TX is $17.00 per month. 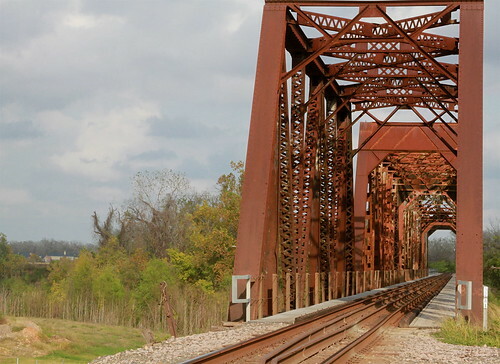 Richmond is a small, historical town in Texas' Fort Bend County, home to local attractions such as the Morton Cemetery and the Historic County Courthouse. It lies just 15 miles south of Houston, providing convenient access to the larger city's job market, amenities and entertainment. Richmond serves as the county seat, hosting most of the local government offices, but is actually one of the smaller towns in Fort Bend County. The area where Richmond and surrounding Fort Bend County now stand was first established by a group of colonists from Austin as a fort, in 1822. The community of Richmond was named after the English city of the same name, and was included in the first group of cities incorporated in 1837 by the Republic of Texas. Over the years, Richmond has been home to several historical figures, including Deaf Smith, Mirabeau Lamar and Jane Long. The city was led for more than 60 years by Mayor Hilmar Moore, who governed the community from 1949 to 2012. As the county's historical center, Richmond is host to many historical buildings and homes. Many of the residential communities are filled with homes built in the mid-20th century. There are several distinct neighborhoods throughout the city, each with its own personality and amenities. You'll find three large local parks spread throughout Richmond: Clay Park, George Park and Wessendorff Park. Park amenities include athletic fields, walking and jogging trails, picnic gazebos and playgrounds. Everyday amenities are plentiful too, so you'll never have to go far for a grocery store, coffee shop or restaurant. In addition, because Richmond is so close to Houston, you can easily drive to the big city for entertainment, shopping and dining. Students who live in Richmond attend schools in Lamar Consolidated Independent School District. The handful of private schools in the city are mainly Christian-based campuses affiliated with community churches. Utilities: As a Texas resident, you'll be able to shop around for your electricity provider. Be sure to take time to compare rates and programs so you can get the best deal. The city provides water and sewer services. Garbage and Recycling: Curbside trash collection is provided on a regular basis. You can also request bulky item pickup for a limited number of items per month. Transportation: Public bus routes provide convenient transportation around Richmond as well as transit to a few of its neighboring communities. You'll find plenty of homes for sale in Richmond, spanning a variety of styles, sizes and price points. There are many generously-sized homes, ideal for growing families that want outdoor space for their children to play. If you're sticking to a tight budget, you can also find smaller, more affordable options throughout the city. Or if you prefer to rent, you'll find apartments, condos and single-family homes for lease. Our lowest priced units in Richmond, TX average $28.71 per month. 1591 people have reserved units in Richmond, TX in the past 30 days. There are 35 locations within Richmond, TX's city limits. There are 25 locations in Richmond, TX that offer AC and Heating features.